The meeting was presided over by President Muhammadu Buhari at the Presidential Villa, Abuja on Wednesday. Adeosun stated that the procurement of the operational vehicles, which would be deployed to the anti-rice smuggling Task Force, was also meant to stop custom officials from invading markets to seize smuggled rice and harassing traders. “The second approval was for the purchase of 50 vehicles and they are going to be deployed for an anti-rice smuggling Task Force that is being put together which Customs will be leading. “As you know, our efforts to become major rice producers had resulted to the revival of local rice growers. But what we found was although that there was 90 per cent reduction in the official import of rice, smuggling has increased and of course, our borders are very porous. “We believe that to protect our farmers and to protect the investments that the people had made and gone back to the farm government must really act to stem the tide of illegal rice importation via smuggling. “We felt that it is important we don’t want Customs going to seize rice in the markets. Customs should actually act to stop rice coming in at the border posts and Customs indicated that they need additional vehicles, additional resources as well as of course other more information-driven strategies to stop it,’’ she said. 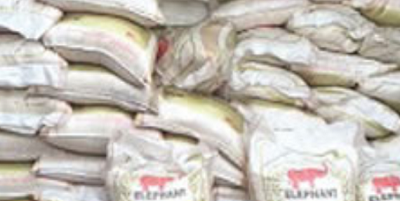 According to her, the multi-agency task force on anti-rice smuggling which has been in operation since July 2017 had been gathering information on how to check smuggling of rice into the country.